At Coventry Self Storage, we know self storage needs range far and wide. That’s why we offer over 10 sizes, including climate control and non climate control units to choose from at our facility near Cedar Swamp Road. Our smallest unit ( 5’ x 5’ x 4’) is about the size of a large storage locker, while our largest unit, 10’ x 30’ offer about the space of an oversized one-car garage. Smaller units are a great choice to store boxes, seasonal items, and sports equipment. If you’re in need of some serious storage space, choose one of our largest units, which can fit the belongings of a 7 to 8 bedroom home. You also have duel door drive up access, one on each end, which makes it even easier to pick up or drop off your belongings in our extra large units. 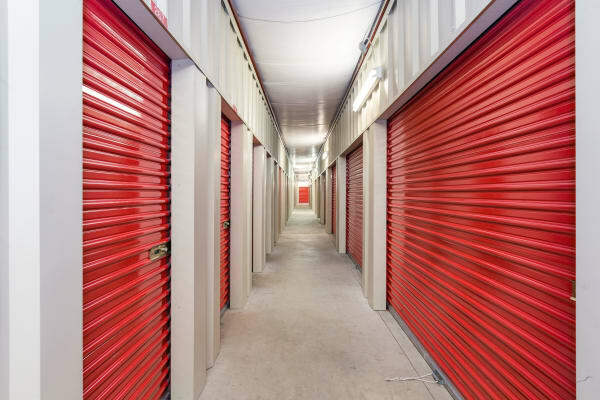 Situated on the Boston Turnpike between 7-Eleven and Coventry Funeral Home, our Coventry, CT, self storage facility makes stopping in for your items quick and easy. Headed out on a Saturday morning to fish Coventry or Bolton Lake? Pick up your poles and tackle box from your unit before starting out for the day, with access 7 days a week. We’re also close to Weston’s Antiques, Edmondson’s Farm and Twin Hills Country Club, so whatever your interests, you have a place to store nearby. Choose Coventry Self Storage, Fast, Easy Guaranteed. Stop by or call on site management team today to rent your unit.